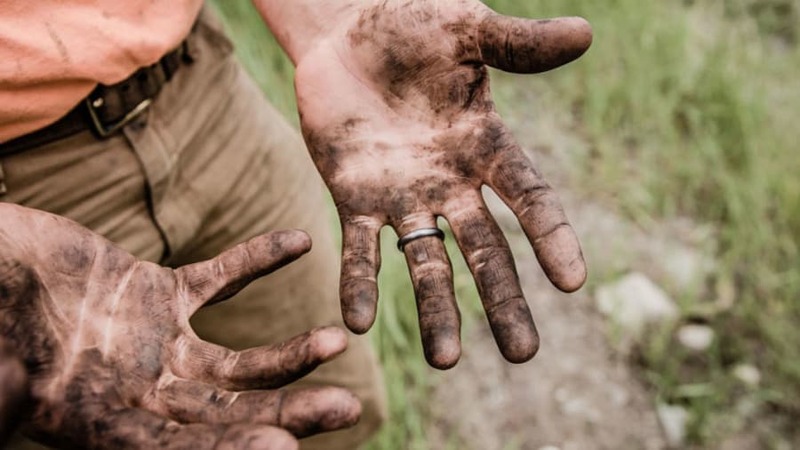 Credits: "Jesse Orrico at Unsplash.com"
Billions of bacteria live on the skin in a community known as the microbiota. The microbiota is critical in maintaining overall health, as well as the health of our skin, especially when it comes to atopic dermatitis (eczema). Atopic dermatitis (eczema) is a chronic rash that involves dryness, redness, intense skin itching, and an increased risk for skin infections. The microbiota of the skin is normally a diverse community of bacteria. The more diverse, the better. However, in eczema, there is a shift in the community so that one of the bacteria, Staphylococcus aureus (S. aureus), becomes dominant. When S. aureus overgrows to become dominant, the overall skin microbiota becomes less diverse (Table 1). Researchers have found that the skin microbiota shifts toward S. aureus before the eczema flare becomes visible on the skin. The Staphylococcus family of bacteria is made up of several different species. Although not all of them are bad for the skin, S. aureus is associated with flares of eczema. Other common species include S. epidermidis, S. cohnii, and S. capitis. These species are thought to have a beneficial effect in keeping the skin’s microbiome more diverse and reducing inflammation. 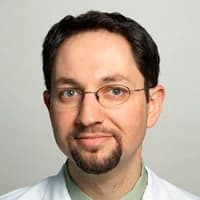 One study showed that infants that were colonized with the S. epidermidis and S. cohnii commensals by 2 months of life had a reduced risk to develop eczema by 1 year of life. Other studies have shown that when active eczema comes back into control with treatment, the microbiome shifts to having more of the “good” Staphylococcus species of bacteria with greater overall diversity. Researchers are looking for ways to restore a healthier microbiota in those with eczema. There are two main approaches: 1) The first approach is to try to prevent the microbiota from shifting to an unhealthy state. 2) The second approach is to be reactive to changes that have already occurred. Medications like antibiotics are helpful when there are signs of infection (such as redness, honey crusting, pus, and fever). Bleach baths: Dilute bleach baths are similar to taking a swim in a swimming pool. Dilute bleach is not irritating to the skin and can help improve eczema. Learn more about bleach baths and how to choose bleach. Use antibiotic ointment in the nose: Our noses serve as a source of bacteria for the rest of the body. Researchers have shown that eczema could be improved by using bleach baths along with treatment of the nose with mupirocin (an antibiotic) to reduce aureus. Regular moisturizer use: Moisturizers help keep the skin in a protected state. One study showed that regular moisturizer use helped to keep the microbiome diversified. Antibiotics: In some cases, the skin can become very red (suggesting that the microbiome has shifted to one dominant bacteria that is causing inflammation) or can result in infection. In both cases, antibiotics can help restore balance to the skin. If there is a fever or pus draining from the skin, a physician needs to immediately evaluate the skin. Steroids: Steroids have an important role in reducing inflammation and are very effective in treating eczema that has flared. The use of steroids to reduce inflammation is associated with reducing the dominance of aureus. [2,8] The goal with steroids is to use them for a short time to reduce flares and then transition to non-steroid based therapies for maintenance. Which bacteria work best for eczema? What is the best dose for taking probiotics? Does the probiotic create long-term change in the gut or the skin or are the changes temporary? 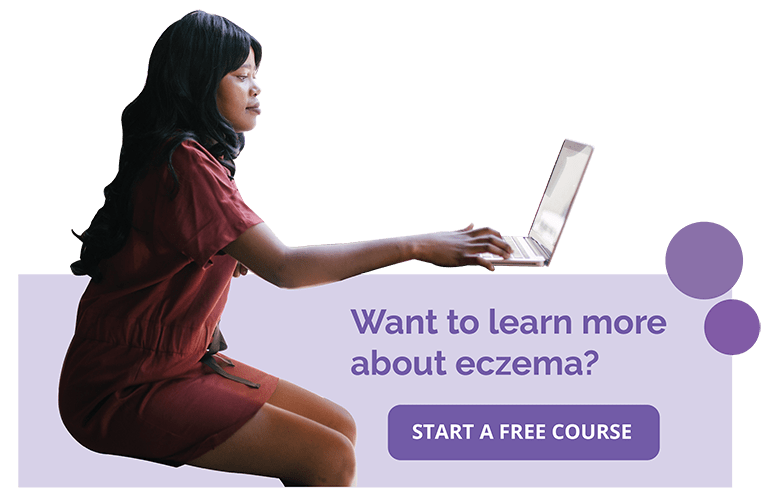 How does the microbiome in the gut change in those with eczema? The microbiome plays an important role in skin health. It appears that as the microbiome becomes more diverse, the skin is in a healthier state. In eczema, a dominance of the bacterium S. aureus is associated with more inflammation. As research continues to build our knowledge in this area, we hope to understand more about how the gut’s microbiome connects to the skin in eczema, how probiotics may be used effectively, and what strategies can be used to keep the skin microbiome in a healthier state. Ruokolainen L, Paalanen L, Karkman A, et al. Significant disparities in allergy prevalence and microbiota between the young people in Finnish and Russian Karelia. Clin Exp Allergy.2017;10.1111/cea.12895PMID: 28165640. Kong HH, Oh J, Deming C, et al. Temporal shifts in the skin microbiome associated with disease flares and treatment in children with atopic dermatitis. Genome Res.2012;22(5):850-859; PMID: 22310478. Kennedy EA, Connolly J, Hourihane JO, et al. Skin microbiome before development of atopic dermatitis: Early colonization with commensal staphylococci at 2 months is associated with a lower risk of atopic dermatitis at 1 year. J Allergy Clin Immunol.2017;139(1):166-172; PMID: 27609659. Huang JT, Abrams M, Tlougan B, et al. Treatment of Staphylococcus aureus colonization in atopic dermatitis decreases disease severity. Pediatrics.2009;123(5):e808-814; PMID: 19403473. Seite S, Flores GE, Henley JB, et al. Microbiome of affected and unaffected skin of patients with atopic dermatitis before and after emollient treatment. J Drugs Dermatol.2014;13(11):1365-1372; PMID: 25607704. Vanegas SM, Meydani M, Barnett JB, et al. Substituting whole grains for refined grains in a 6-wk randomized trial has a modest effect on gut microbiota and immune and inflammatory markers of healthy adults. Am J Clin Nutr.2017;10.3945/ajcn.116.146928PMID: 28179226. Santino A, Scarano A, Santis S, et al. Gut microbiota modulation and anti-inflammatory properties of dietary polyphenols in IBD: new and consolidated perspectives. Curr Pharm Des.2017;10.2174/1381612823666170207145420PMID: 28176667. Nilsson E, Henning C, Hjorleifsson ML. Density of the microflora in hand eczema before and after topical treatment with a potent corticosteroid. J Am Acad Dermatol.1986;15(2 Pt 1):192-197; PMID: 3745523. Rather IA, Bajpai VK, Kumar S, et al. Probiotics and Atopic Dermatitis: An Overview. Front Microbiol.2016;7:507; PMID: 27148196.